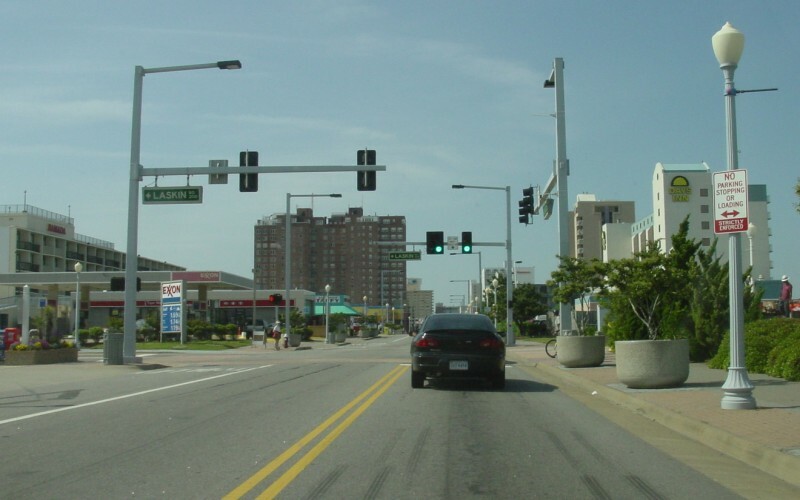 The intersection of Laskin Rd and Pacific Ave in Virginia Beach, VA, what I first believed was the eastern end of US 58. It has been pointed out to me, however, that the actual end of US 58 is at the intersection in the background (Laskin Rd/Atlantic Ave). US 60 runs along Atlantic Ave and ends 30 blocks to the south of here at Rudee Inlet. Photo by Adam Froehlig, taken late November, 1999. 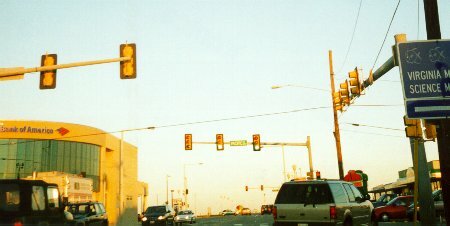 This is a view of the actual terminus as seen from northbound Atlantic Ave. Photo by Adam Froehlig, taken May 14, 2003.